What Organs Extract Energy From Food? Three major digestive organs extract nutrients from food, giving you energy. Understanding your digestive system may not be high on your list of priorities. Many people rarely think about what happens to food once it enters the stomach. But every bite you take has a long journey as it moves from your mouth to the south end of your body. 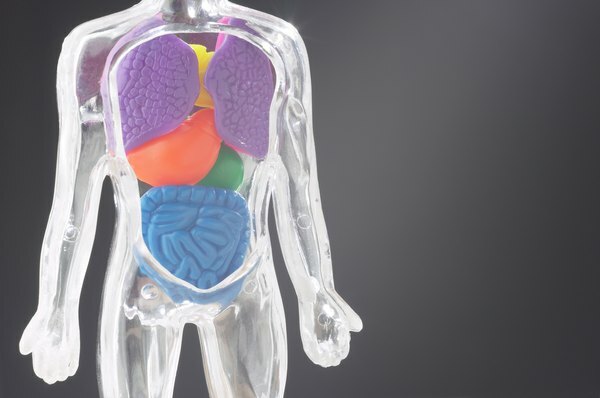 Knowing which organs are responsible for extracting energy from food -- mainly the small intestine, liver and pancreas -- can help when you’re experiencing digestive problems or health concerns. While fats often provide most of your body’s energy, carbohydrates are used for energy first -- a perfect reason to include both whole grains and healthy fats in your daily diet. The body has unlimited storage capacity for fats -- which is why it’s often easy for fat and flab to accumulate. Once fat molecules are broken down into fatty acids, the body simply stores them in fat cells for later use. But carbs can only be stored in the body for a few days, so the digestive system quickly breaks them down into glucose molecules and gobbles them up for a quick burst of energy. Excess carbohydrates are stored in the liver to provide energy between meals. 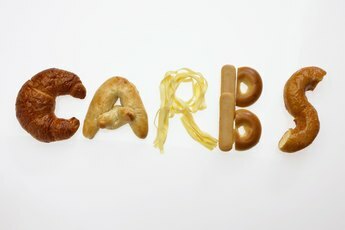 When carbohydrate levels become too low, the body taps into its fat supply for a much-needed burst of energy. Proteins are primarily broken down into amino acids and used to build muscles, tissues and hormones. However, if your body becomes deficient in fats and carbohydrates, proteins can also be broken down for energy -- although this can only last for a brief period of time before the body starts munching on muscle cells. After food leaves your stomach, it moves into the small intestine. Approximately 18- to 23-feet long in the average adult, the small intestine really isn't so small -- it's only called "small" because its internal diameter is smaller than the large intestine's internal diameter. The small intestine is divided into three parts: the duodenum, jejunum and ileum. Food is first deposited into the duodenum, which also receives digestive juices from the pancreas, gallbladder and liver. The duodenum churns the food and digestive juices together before moving the mixture into the jejunum. The jejunum is lined with thousands of miniscule finger-like projections -- called villi -- that sway constantly to further mix the contents and separate the nutrients into amino acids, fatty acids and glucose. The villi absorb these usable nutrients and deposit them into the blood and lymph fluid. Once in the blood, the nutrients are either used immediately as energy or transported to other areas of the body for storage. Unusable nutrients and remaining food particles are sent into the ileum for further processing before removal from the body. The liver plays two major functions in the extraction of energy. The large, relatively flat organ produces a digestive juice called bile -- a greenish-yellow liquid that looks more like it belongs in a laboratory than your body. Between meals, bile is stored in the pancreas until it’s needed. When food enters the small intestine, the liver ramps up bile production, and the pancreas starts squeezing it into the duodenum. Once bile mixes with the digested food, it identifies fat molecules and extracts them from the mixture. The process is similar to scouring your grease-soaked frying pan at home -- dish detergent dissolves the grease molecules so that they can be washed away, while bile dissolves the fat molecules into tiny droplets so that they can be easily absorbed by pancreatic juice. The liver also serves as a storage space for excess energy molecules. Extra fatty acids and glucose molecules are stored inside the organ. When energy is needed, the liver distributes the appropriate molecules into the bloodstream for use. Referred to as a gland organ, the pancreas is a small organ that sits just behind your stomach. Its main job is to produce a digestive juice full of enzymes that can break down nutrients. When food enters the small intestine, the pancreas pumps its digestive juices directly into the duodenum. Once there, the juice mixes with the digested food, and its enzymes go to work identifying usable nutrients. The enzymes sift through the digested food, pluck carbohydrates, protein and fat from the mixture, package them up and deliver them directly into the bloodstream -- a perfect energy-producing present for the body's cells and tissues. What Organs Are Needed to Digest Food? 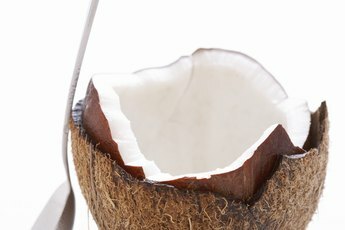 What Chemical in the Body Converts Carbohydrates Into Sugar? What Digestive Juice Is Produced in the Salivary Glands? What Digests First, Protein, Carbohydrates or Fat? How Is Protein Absorbed by the Digestive Tract? Which Organs Play a Role in the Breakdown of Carbohydrates? How Do Nutrients Pass From the Villi to the Bloodstream?